Finished size 18" x 17". 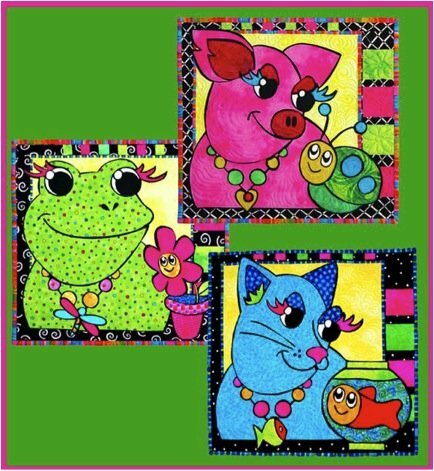 Includes Pattern, Fabric for top back, binding and batting for the FROG wall hanging. All appliqués come laser cut with fusible backing applied. Your kit is fully complete ready for you to piece your background and apply you appliqués. You can then machine or hand quilt. If you would like us to machine quilt it for you just give us a call at 972-347-2547 for a price quote.